If you’re feeling a bit frazzled about Christmas, wondering what presents to get everyone in your family, how you’re going to find time to shop without the kids being with you and asking too many questions that your nerves don’t have time to deal with … then take a big, deep breath and relax because here is a Christmas Gift guide that has something for every member of your close to distant family, who may be very old through to very young. What do you give the people who have everything they need? The gift of art from their grandchildren printed on to something useful like a shopping bag, t-shirt, cushion or apron. It’s super easy – just take a drawing made by your kids, fill in an online order form at www.minigarb.com.au, and choose what best suits your oldies. Then hey presto, you have an amazing and personal present is delivered to your door, ready to give on Christmas day. Mums are always putting their kids first for clothes, shoes, Christmas presents and more, so why not give the mums in your family something that is only for themselves – a new dress, top or other piece of fashion. We like www.dresstemple.com for casual clothes because they’re affordable, fresh, comfortable and vibrant – they’ll have the women in your family feeling a little bit cool and a whole lot special. If some of the mums in your family have young bubs that like to chew and play with everything they can get their hands on, why not give some silicone jewellery for a Christmas pressie. At www.bubcentral.net.au you can get food-grade silicone jewellery that is completely child-safe and looks totally fun and funky – plus it can be worn long after babies stop chewing it – trust me I know! Give some calm and bliss to the mums in your family with gorgeous candles and aromatherapy from Stanthorpe Zensations www.stanthorpezensations.com. These lovely goodies will have the mums in your life feeling beautifully relaxed – of course you will have to give a child minding or ‘I’ll take the kids’ voucher to mum as well. 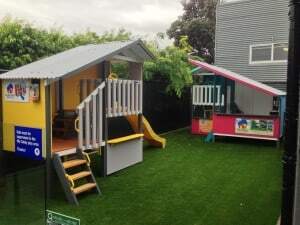 Give something big and completely awesome to the kids with a My Cubby www.mycubby.com.au cubby house. These open plan, wooden cubbies will encourage outdoor, active and imaginative play – they’re truly a present to last a lifetime. For stocking stuffers for toddlers and preschoolers (and maybe some bigger kids) check out the amazingly, inventive and completely practical things at www.thanksmum.com.au Designed by Mums and Dads to save mess, time and adults’ sanity – parents will like these cool goodies as much as kids do! From babies to 12 year olds, everything you could possibly want or need for kids is at Holly and Eddie www.hollyandeddie.com.au Think unique and high quality at a good range of prices for clothes, PJs, accessories, décor, toys and more – you’ll find something to delight the kids here. If it’s just toddlers you’re gift buying for this festive season, take a look at www.jackandevelyn.com.au From poncho towels that are stylish (not garish) to personalised chairs and toy boxes, these are quality gifts for the children you love. Now here’s a gift that can satisfy entertainment cravings for an entire year for 5 to 10 year old kids – a subscription to Lotta magazine www.lottamagazine.com.au It’s an ad-free kids magazine, put out at school holiday time four times a year, and chocked full of free school holiday art and craft activities for boys and girls to banish boredom. It’s a winner! Is he the most difficult person in the family to buy for? Possibly! Well I’ve found the perfect one stop dad shop. Whether you’re looking for your dad or your kid’s dad, Navy Crockett has something for them. With categories for every personality, you’re sure to find something for the man/men in your life. So good luck! I have to admit to not being a big fan of shopping, so Christmas time can be quite trying around here! Hope your lead up to Christmas is as stress free as it gets! Do you have any great no-fail Christmas gift ideas? We’re all ears- leave a comment in the box below that says, Post Your Review.